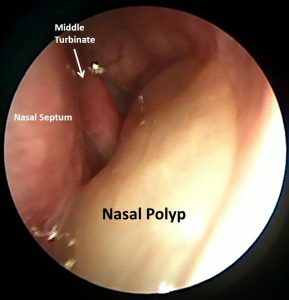 Nasal polyps are inflammatory, non-cancerous masses that arise from the lining of the nasal cavity and sinuses and can block the nasal airway and drainage pathways of the paranasal sinuses. Typically, all patients with nasal polyps have a form of chronic sinusitis. Patients with chronic sinusitis with polyps usually possess more severe and persistent disease. 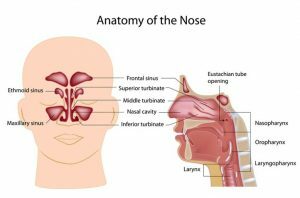 Nasal polyps may cause symptoms of nasal obstruction and decreased sense of smell. Treatment of nasal polyps relies on topical and occasional systemic steroids. However, if medical treatment fails, endoscopic sinus surgery may be indicated to control the disease.